North Carolina has seven steam stations that currently burn coal to generate electrical power for much of the state; six additional facilities used to burn coal but have converted to other energy sources. 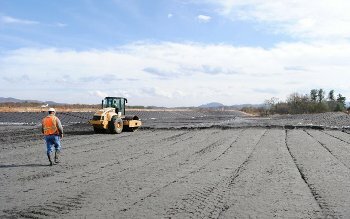 One of the ways to manage the coal ash generated by coal burning process is to mix it with water and store it in ash ponds. The Division of Water Resources regulates wastewater that is discharged from coal ash ponds to state waters, stream and lakes. DWR also requires groundwater monitoring and stormwater management. 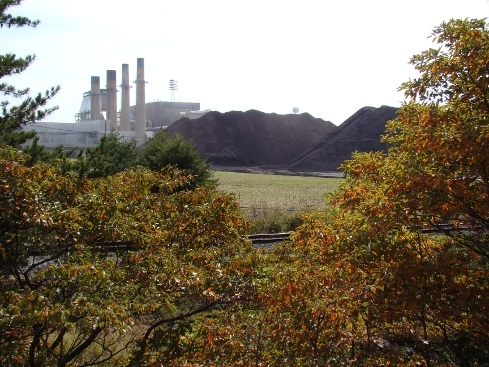 In addition, DWR regulates the beneficial reuse of coal ash, and shares responsibility for the regulation of coal combustion residuals with the Division of Waste Management. DWM also regulates fly ash landfills. Dam safety for the pond structure is regulated by the Division of Energy, Mineral and Land Resources. Each facility is inspected every other year. Wastewater discharges must adhere to the technology based limits described in 40 CFR 423, the Code of Federal Regulations. They must also comply with the state water quality standards and U.S. Environmental Protection Agency water quality criteria. Groundwater monitoring plans – are currently being added to the NPDES permit as each facility comes up for renewal of its five-year permit renewal. As of Jan. 2013, nine permits contain groundwater monitoring requirements. NPDES permits for electrical generating facilities that have coal ash ponds can be found here. 2014 Duke Energy permit modifications and renewals can be found here. “End of pipe” monitoring addresses the chemical constituents of effluent discharged directly to surface waters. Reports are sent to the division each month. 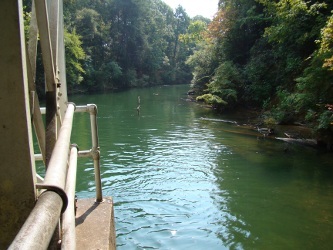 Chemical monitoring is also required both up-stream and downstream of the discharge area. Biological monitoring is also required by the permit. This requires an evaluation of the aquatic life – insect and fish - found above and below the effluent outfall. In addition, fish are collected and fish tissue is analyzed for the presence of contaminants. 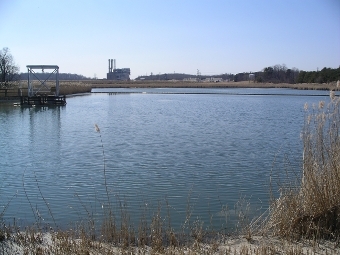 In 2000, the U.S. Environmental Protection Agency considered regulating coal ash products, including ash ponds, under the federal Resource and Recovery Act. In 2006, the utility industry in North Carolina began a voluntary groundwater monitoring program. In 2009, DWR requested and received information derived from the voluntary program from Duke Power and Progress Energy. After reviewing the information, DWR directed the companies to strategically place groundwater monitoring wells in line with DWR's compliance program. 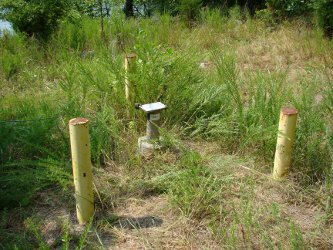 Beginning in 2010, the wells were installed and monitoring began as required by the approved monitoring plan for each facility. The groundwater monitoring requirement is added to each facility's NPDES permit as that permit comes up for renewal; as of Jan. 2013, the requirement has been added to nine facilities. However, each of the 14 facilities is monitoring groundwater in accordance with their approved plan, even if the requirement has not yet been added to their permit. Groundwater monitoring data continues to be submitted from each of the 14 facilities and DWR is evaluating the information submitted. Included in these evaluations is a determination if site specific natural background levels for various parameters are contributing to any reported concentrations (for example – iron and manganese may occur naturally in the soil profile and groundwater). For each facility, if it is determined that activities on the property are causing noncompliance with the division’s regulatory requirements, the division will coordinate with the permittee to develop and implement a corrective action plan in accordance with state regulation. Groundwater motoring data from the 14 Duke Energy facilities can be found here. Groundwater assessment plans for the 14 Duke Energy facilities can be found here. Currently, most of the beneficial uses of CCRs are deemed permitted under state regulation. However, prior to some uses of un-encapsulated CCRs (e.g., agricultural uses, traction control, etc. ), CCRs must meet leachate concentration limits. For land application, CCRs must also meet contaminant limits listed in federal law.